30K Challenge is a new binary options scam that wants you to believe that you are part of a select group of people who will make $30,000 today. What the 30K 30 Day Challege actually does is connect you with an unlicensed binary options broker who will try to get you to “invest” $10,000. Since you are a newbie when it comes to investing, you probably didn’t know that there are hundreds of Forex trading scam online today. Warning! Don’t waste your money at the 30K Challenge before you read how this scam operates, see here. If you want to see a popular trading software, go look at these. There are a few ways we can detect if a trading software is a real product or another get rich quick scam. They make unrealistic claims in their pitch video of how much money you will make. 30K Challenge works with unregulated and unlicensed brokers. Investors can’t see the actual software until after they deposit money. Results that they publish on their website are from August 2016, but the actually website only opened on June 5th 2017. Normally when the Scam Broker Investigator reviews an automated binary options robot, we check the functionality of the software. 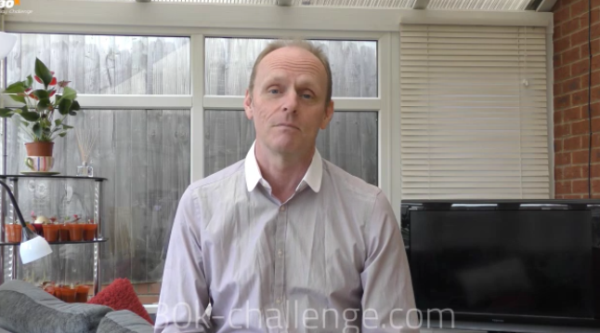 When it comes to the 30K Challenge Software there is no way to do that. Any trading software that requires you to deposit money before you see how it works is a waste of time. We noticed on their signup page that step 3 says; “Our recommended broker will immediately start managing your account”. There is no such thing in the world of binary options as a legitimate managed account. A binary options broker makes money when you lose your money! You can go here and see what a real binary option robot looks like. Scam Broker Investigator is a website dedicated to reviewing online brokers, with more than 300 binary broker reviews. 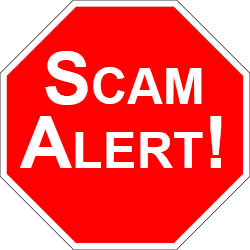 It is a know fact that 95% of binary option brokers online today are unlicensed and unregulated scams. Read the article; Why people use licensed brokers, so you understand that trading with an unlicensed broker is not a wise decision. 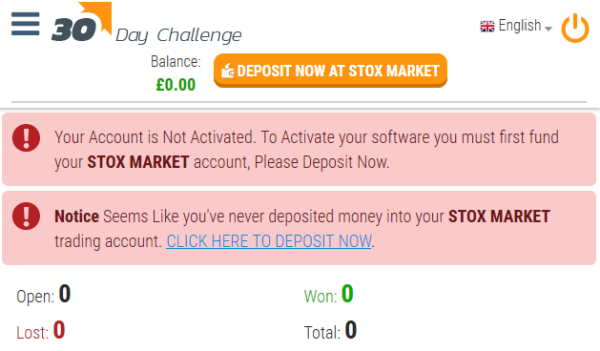 The problem using a trading software like 30K Challenge, is that they work with unlicensed brokers like StoxMarket, which is the reason for most complaints in the binary options industry, see complaints. You should only trade with a licensed broker! Go take a look at the best brokers page. “ASIC urges all investors considering trading in binary options to check they are dealing with an entity that holds an Australian financial services licence. 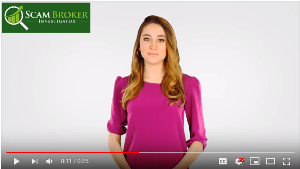 Please tell other newbie investors reading this review of 30K Challenge, which broker they recommended for you, and how much money you lost, in the comments below.